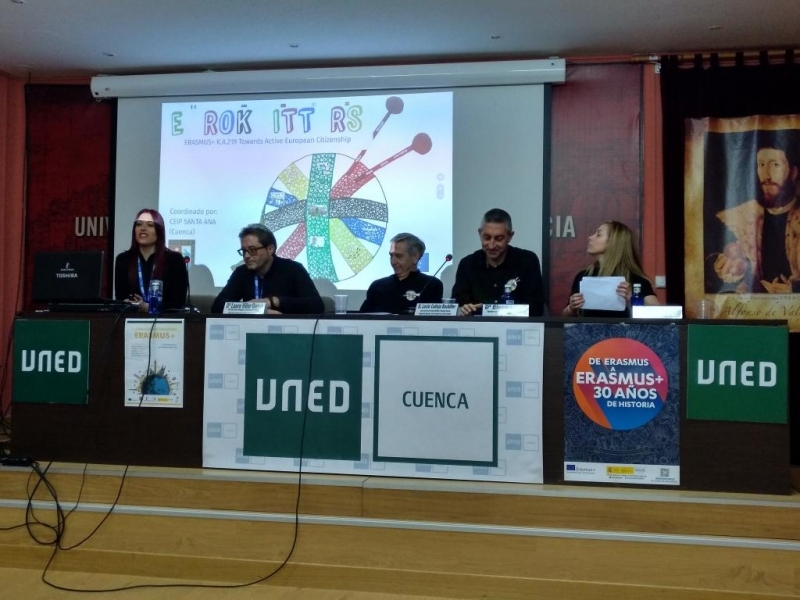 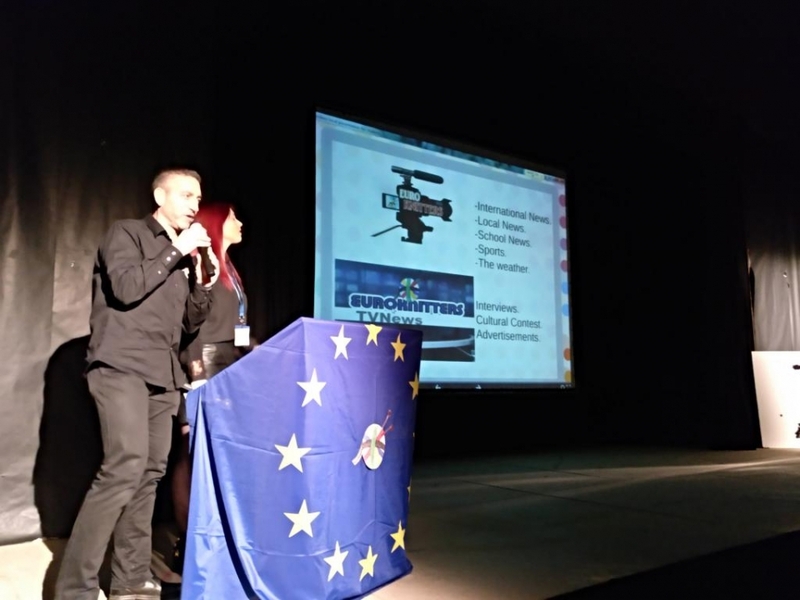 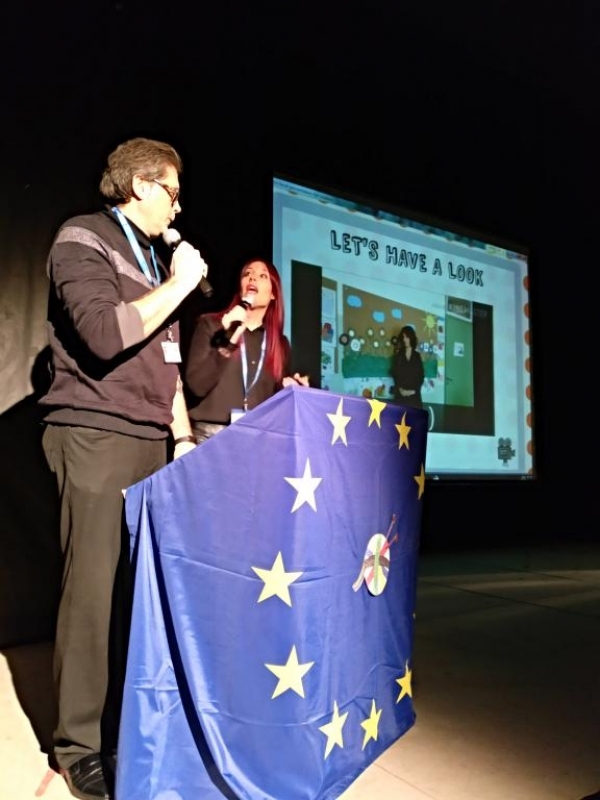 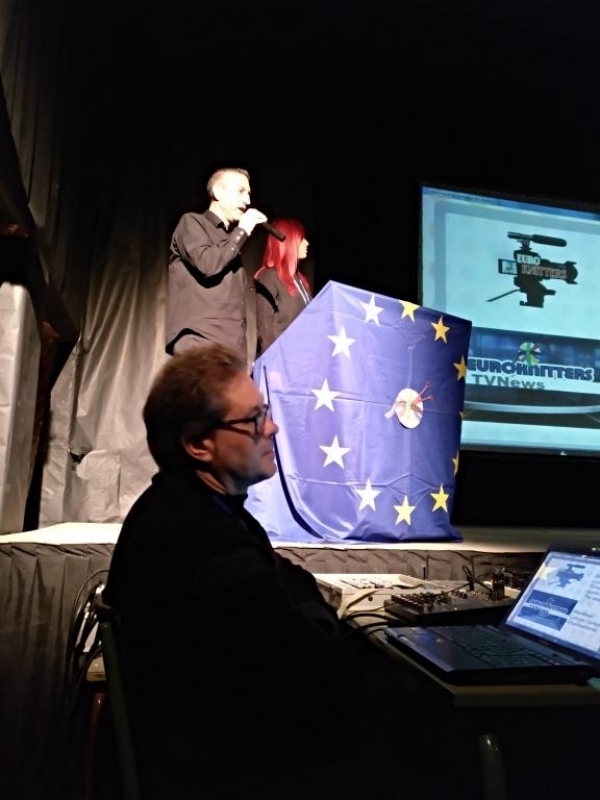 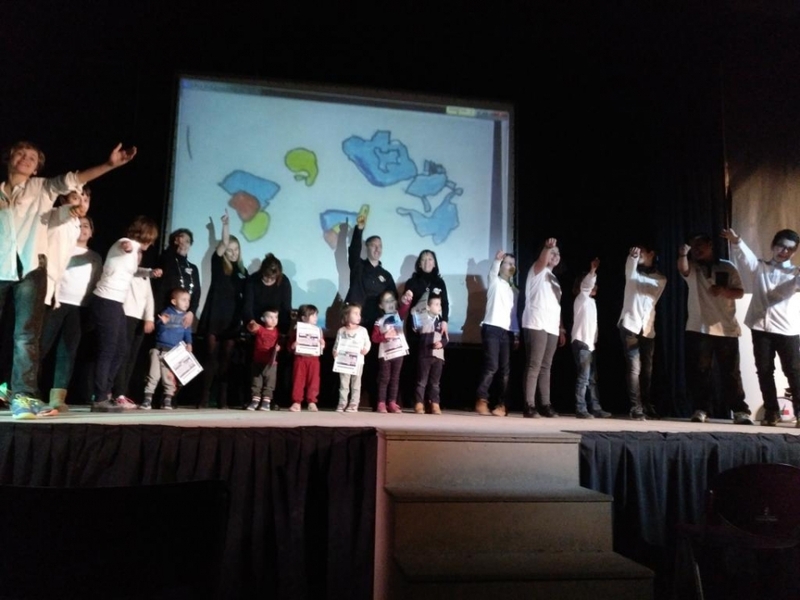 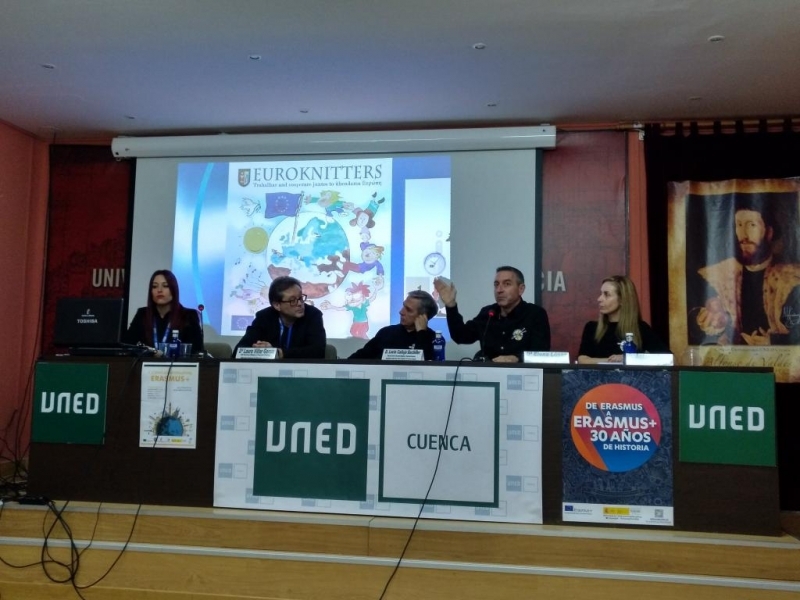 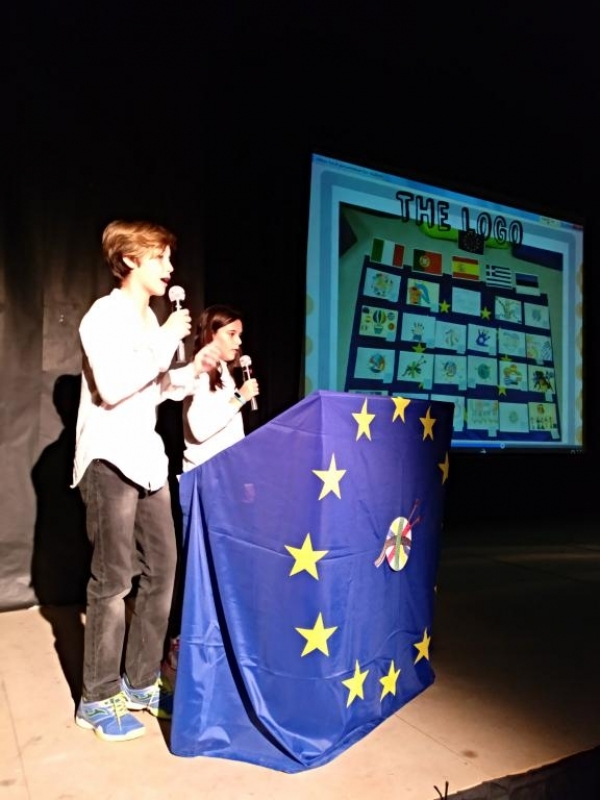 The European project “Euroknitters” coordinated by the CEIP Santa Ana from Cuenca has been presented as an example of good practice in education to other teachers of the province in the fifth provincial informative days on Erasmus + organized by the regional authorities of Education, and that had representatives of the Spanish National Erasmus+ Agency (SEPIE) in a crowded auditorium. 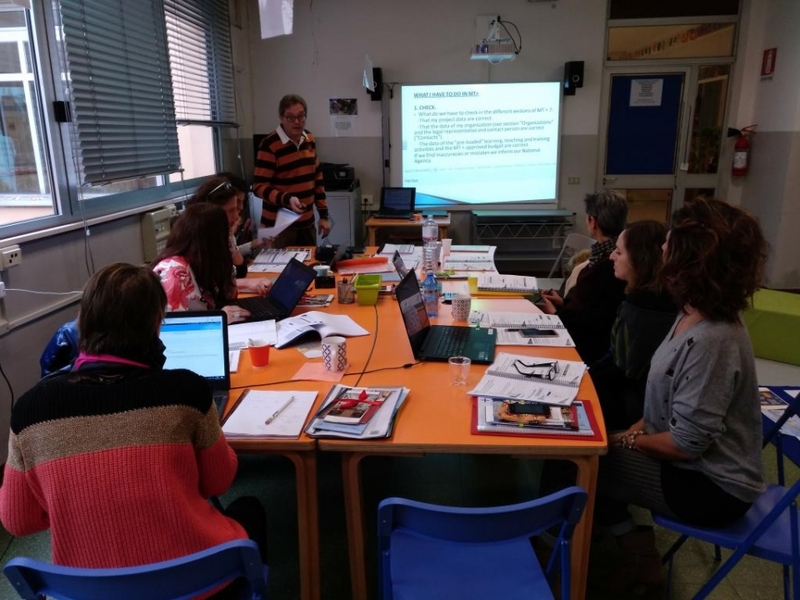 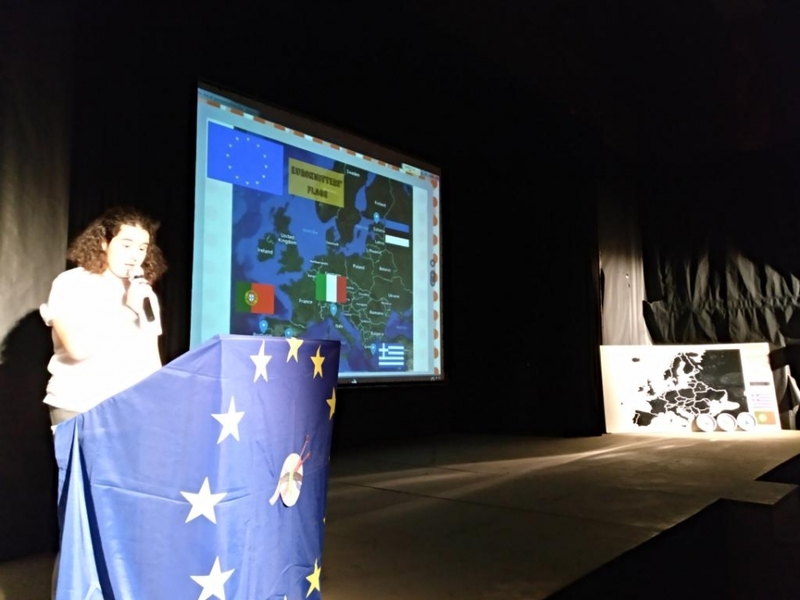 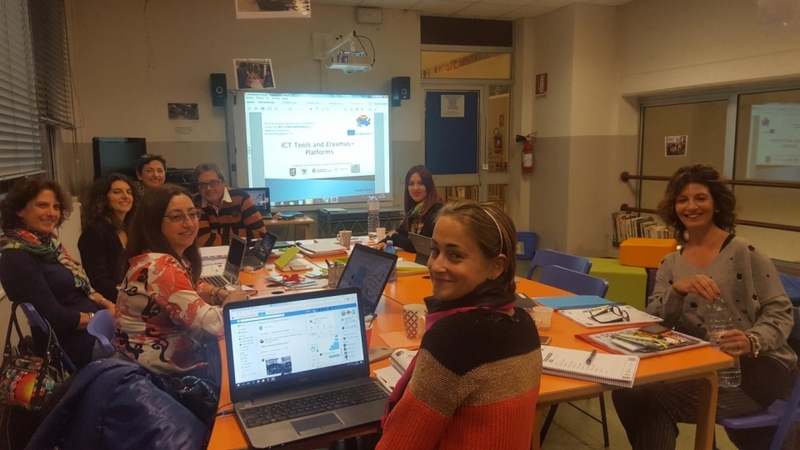 Some of the teachers responsible for its management presented the most relevant aspects of this ambitious European project that will be developed in collaboration with schools in four other countries: Portugal, Italy, Estonia and Greece. 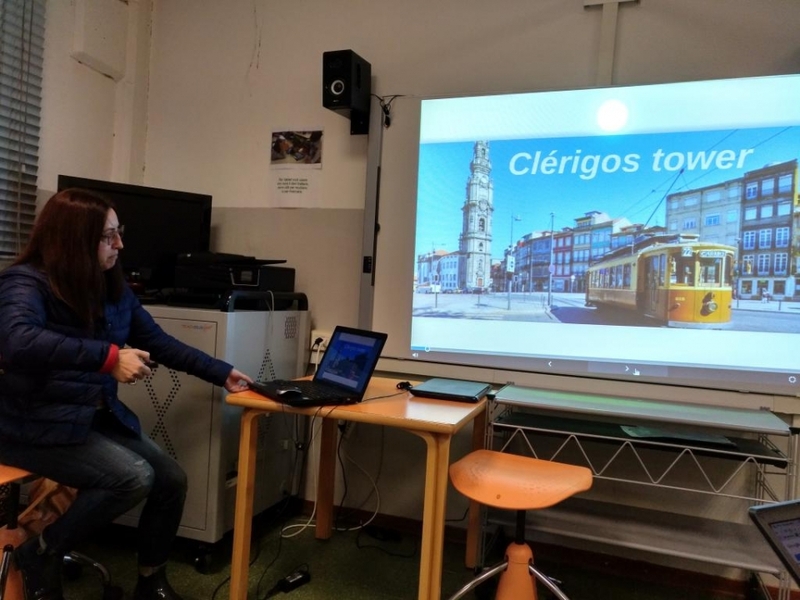 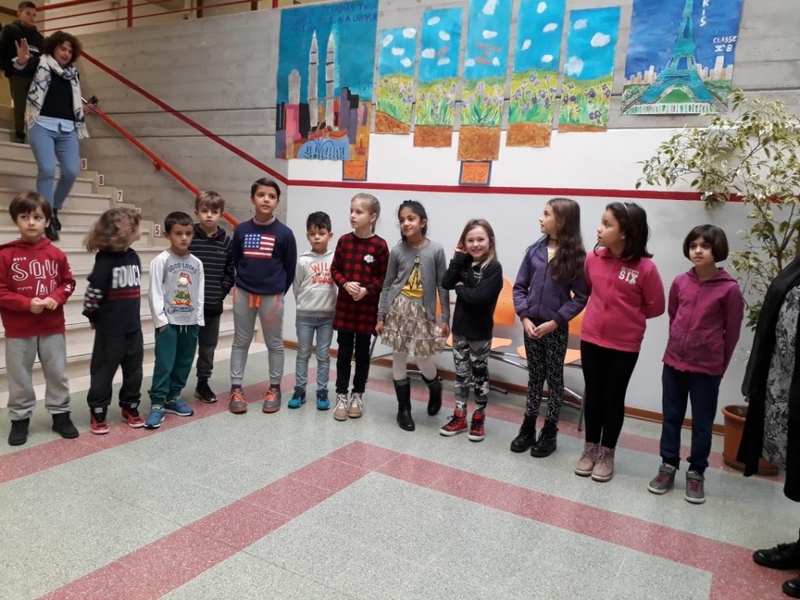 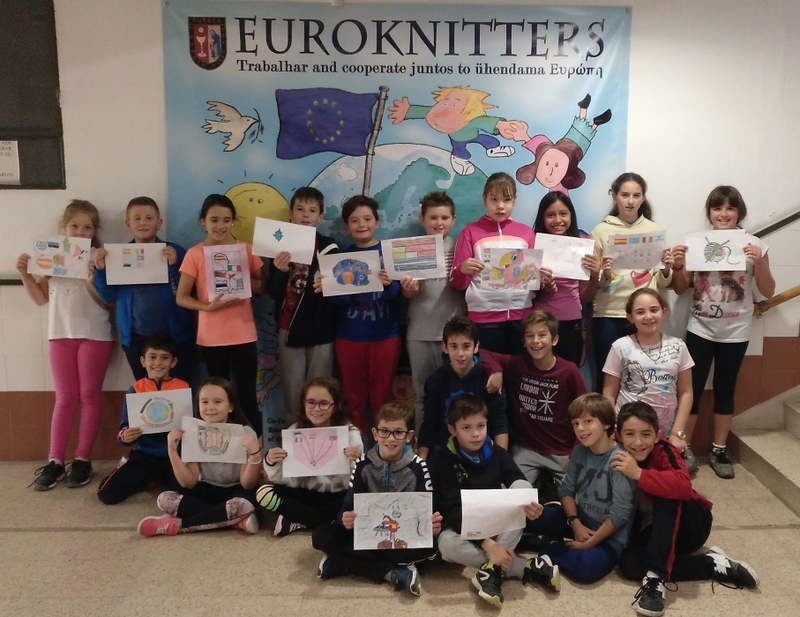 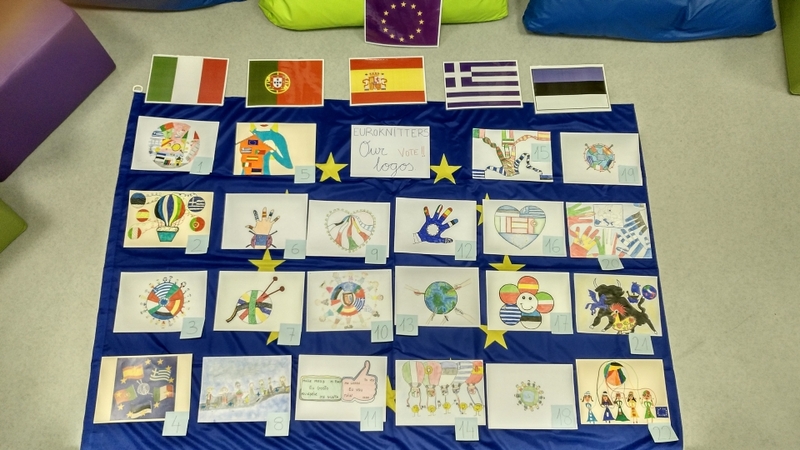 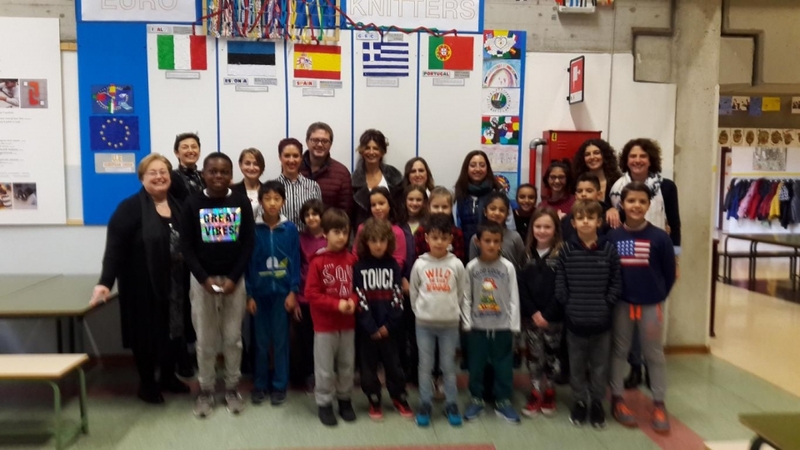 Previously, some of these teachers, helped by some sixth graders who will accompany them on mobiles to Greece and Estonia, had presented the Erasmus + project “Euroknitters: Towards Active Citizenship” to the rest of their classmates. 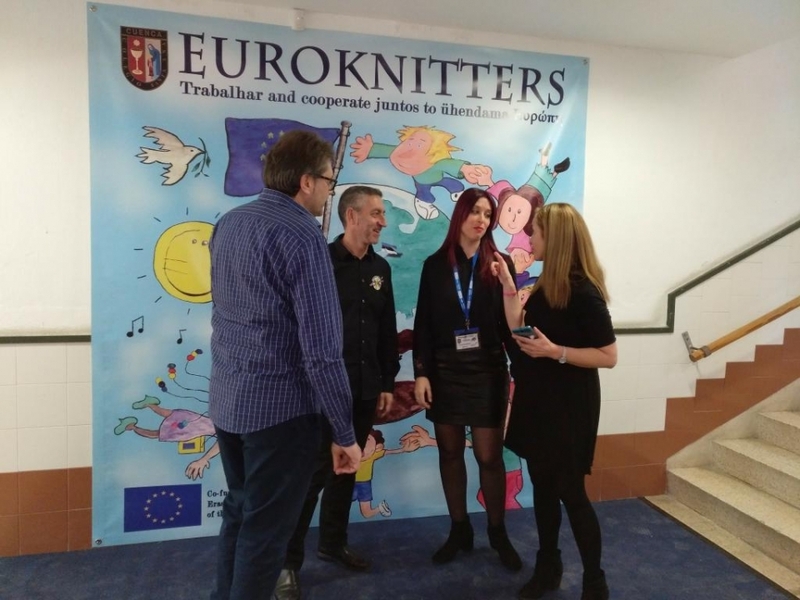 First, the project coordinators explained how the word “EUROKNITTERS” has been formed and what it means (Euro + knit + ers = weavers from Europe). 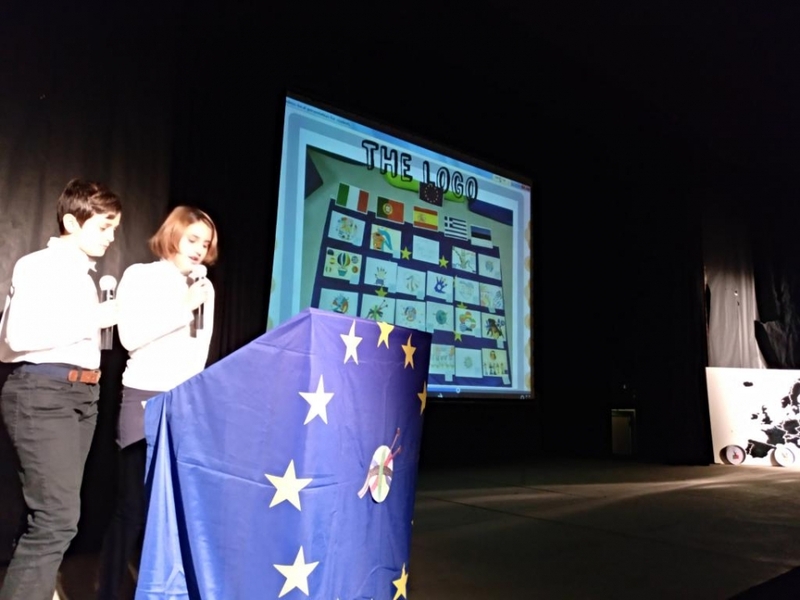 Later they officially presented the winning logo selected among those made by each and every one of the students of the participating schools (made by a student from Estonia). 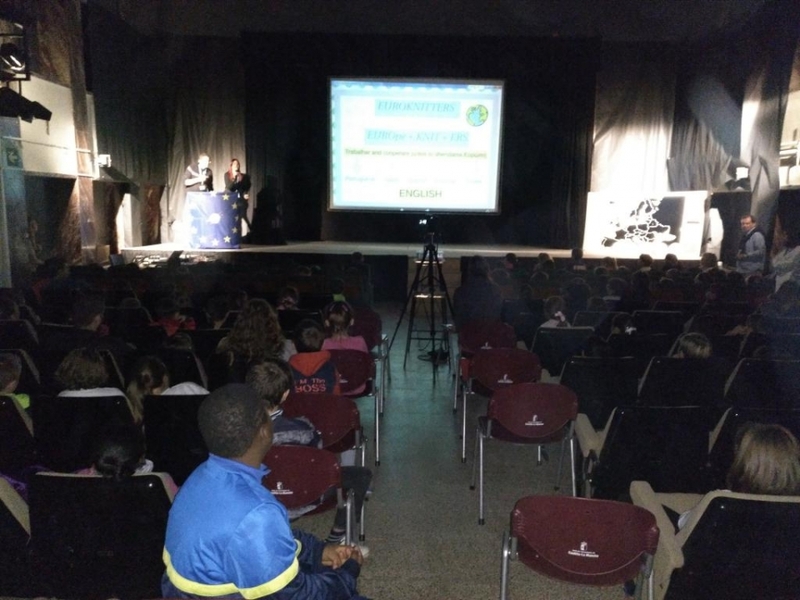 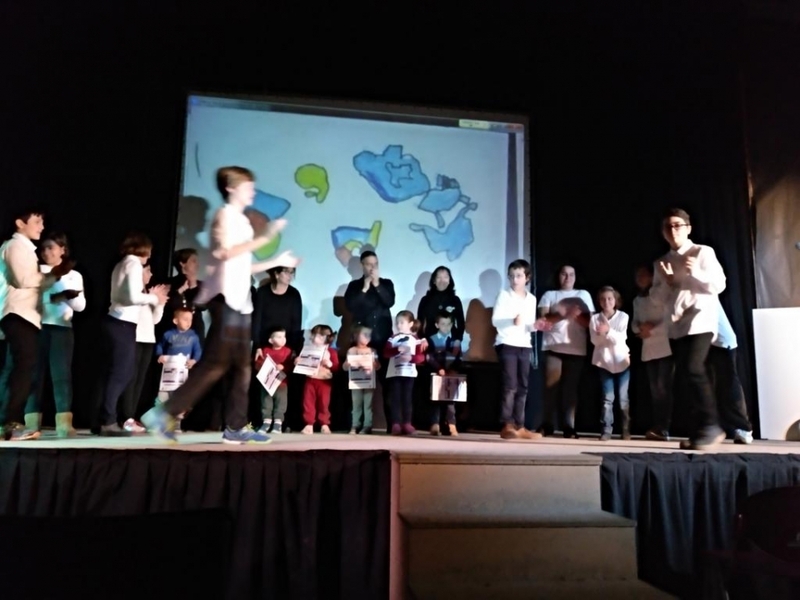 Then, the presentation of the promotional video of the project was made, in which the coordinators and representatives of the project greeted the students. 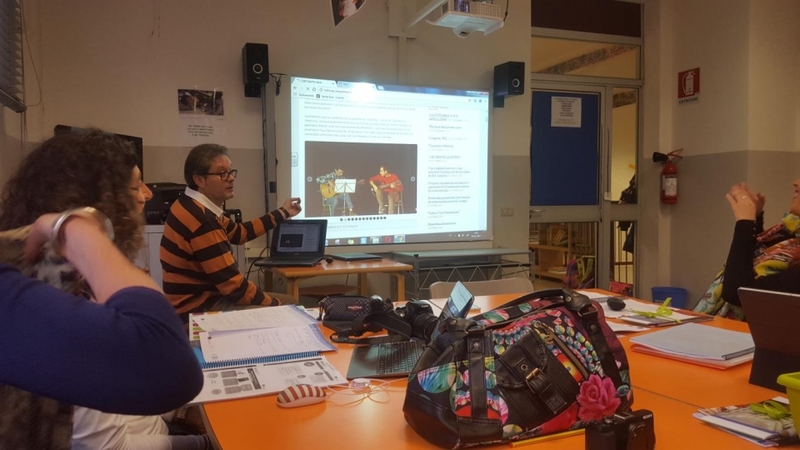 Next, another of the teachers responsible reported the start-up of a television channel in which young sixth-year reporters are already working. 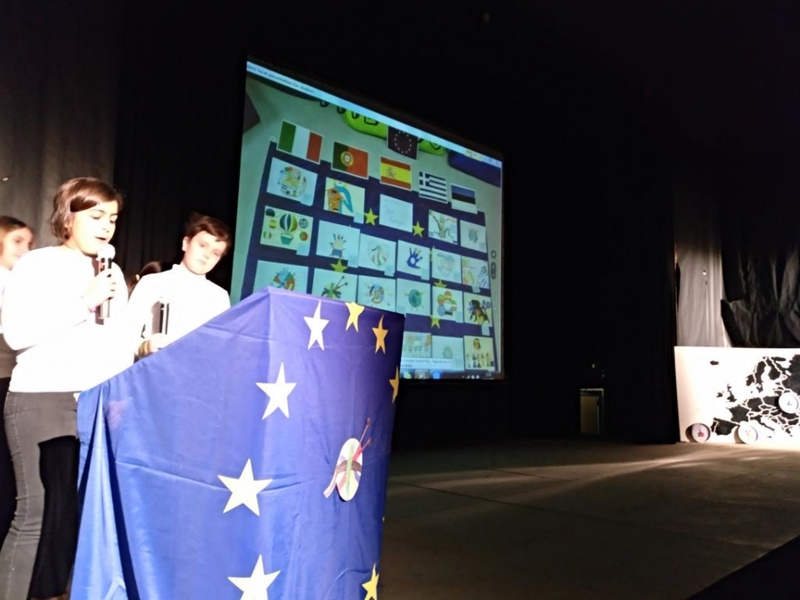 We continued listening to the students who have decided to embark on this adventure, presenting the collaborating countries. 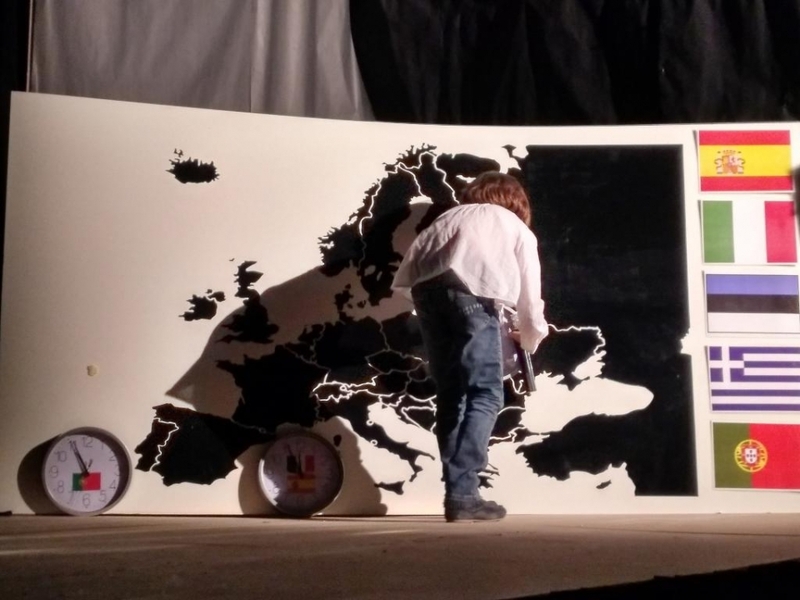 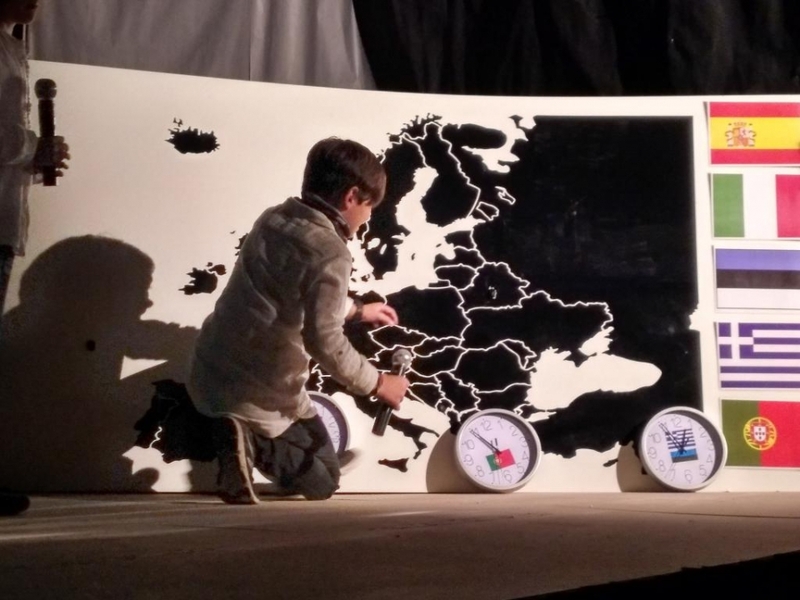 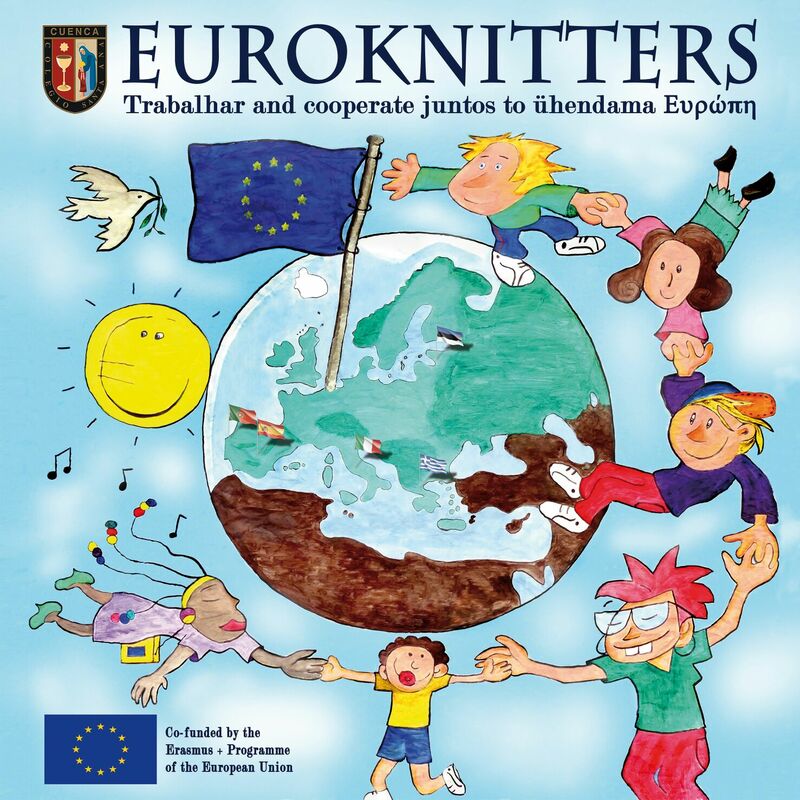 Under the slogan “Trabalhar and cooperare juntos to ühendama Εὐρώπη” (“Work and cooperate together to unite Europe”) the project aims to strengthen the union among the member countries of the European Union, as well as to know other cultures and other languages although the language of the project will be English. 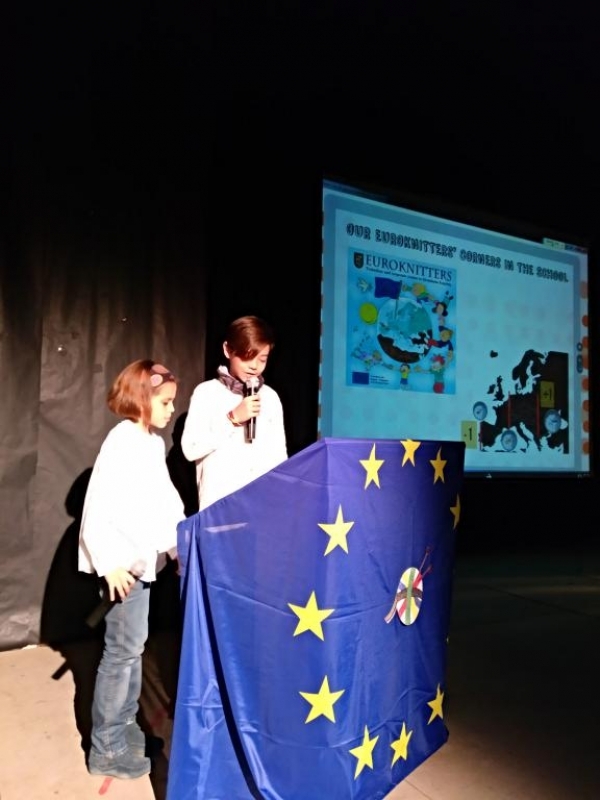 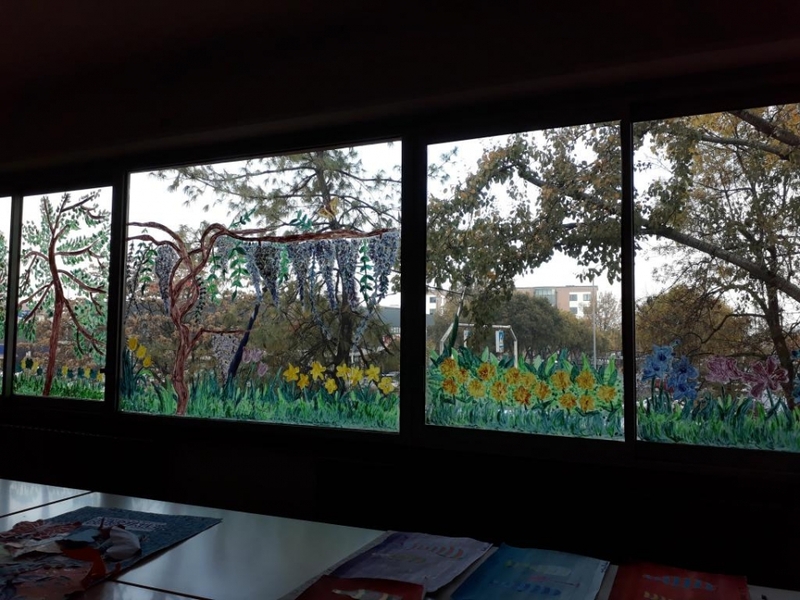 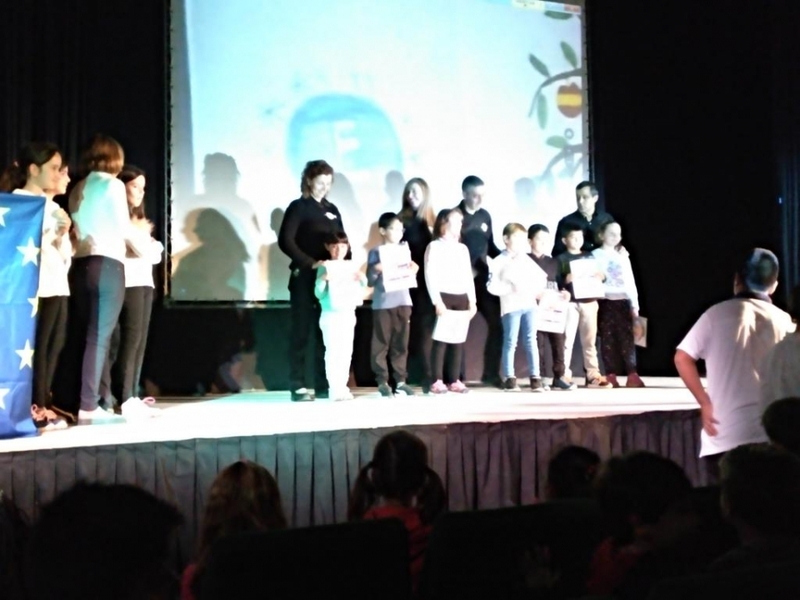 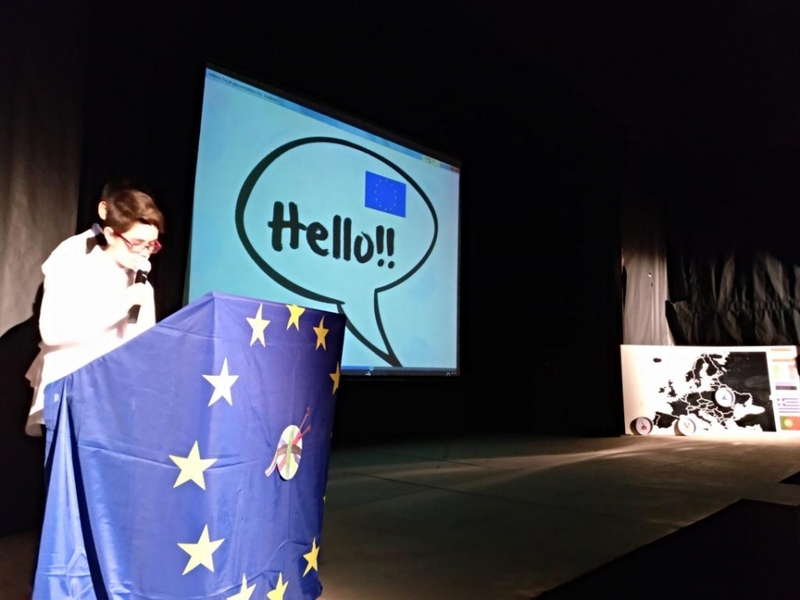 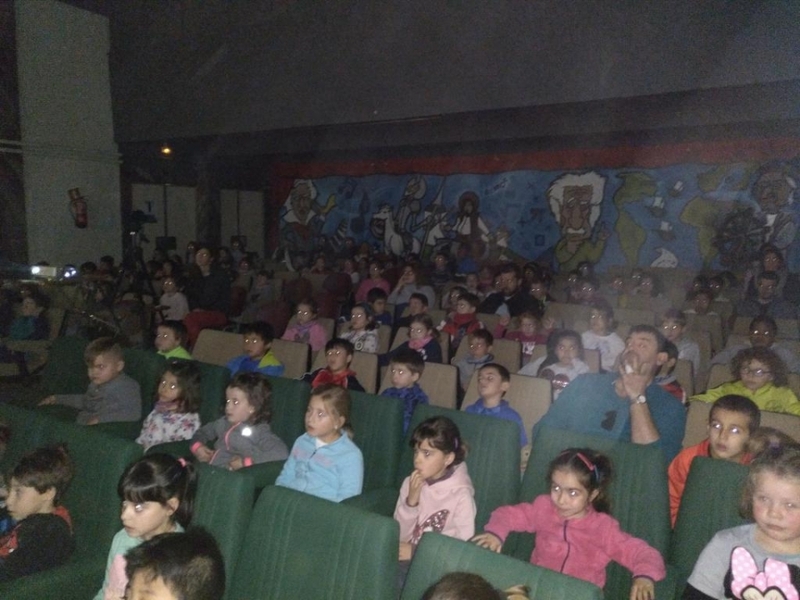 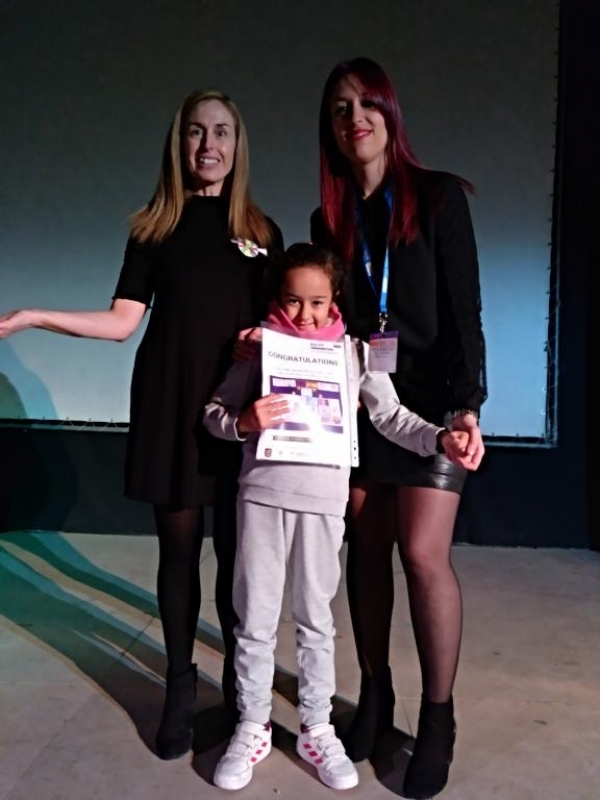 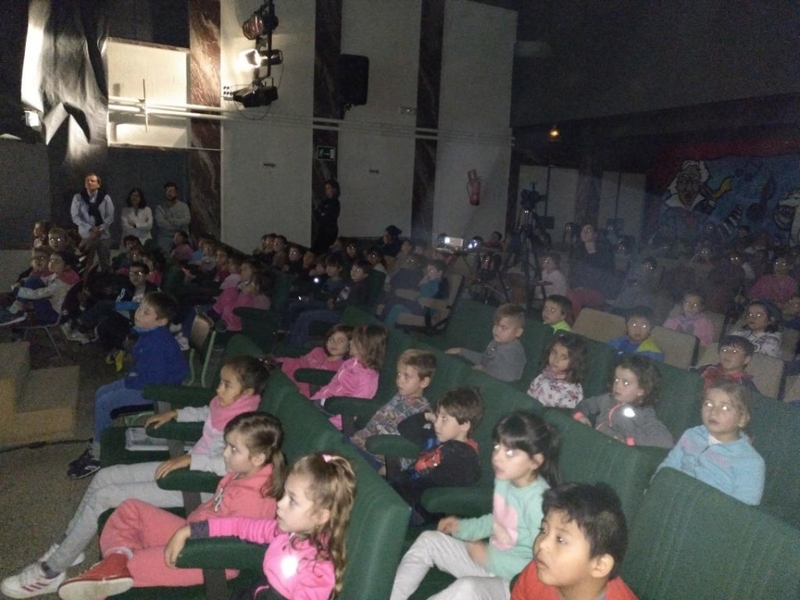 This onother example of the educational project of the “Santa Ana” school, which is committed to promoting bilingualism among its students with innovative activities and, therefore, more motivating towards the English language. 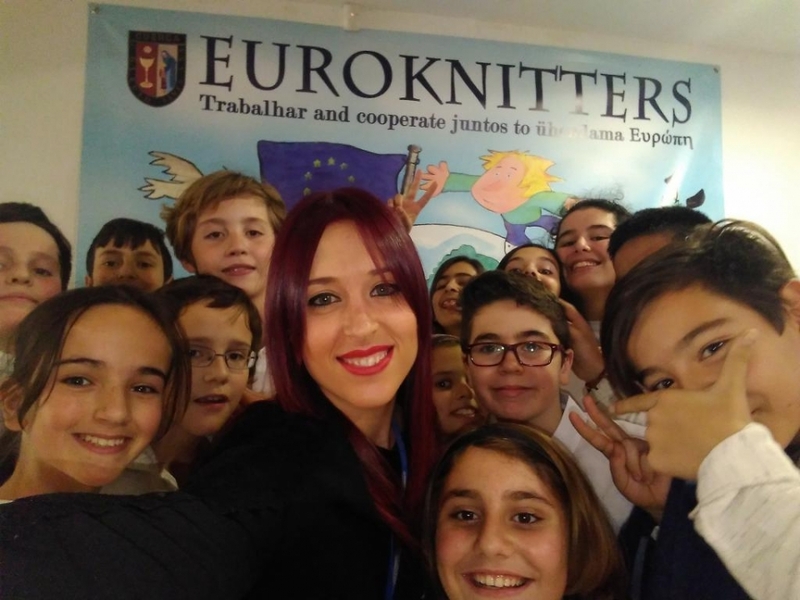 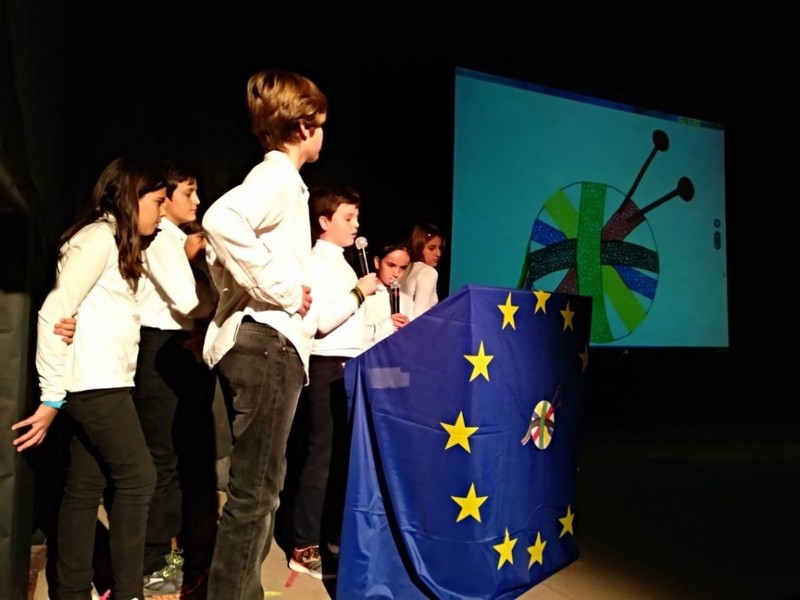 El proyecto Europeo “Euroknitters” coordinado por el CEIP Santa Ana de Cuenca ha sido presentado como un ejemplo de buenas prácticas ante docentes de toda la provincia en las quintas jornadas provinciales informativas sobre Erasmus+ organizadas por la Dirección Provincial de la Consejería de Educación, Cultura y Deporte, y que contó con representantes del Servicio Español para la Internacionalización de la Educación (SEPIE) en un abarrotado salón de actos de la UNED. 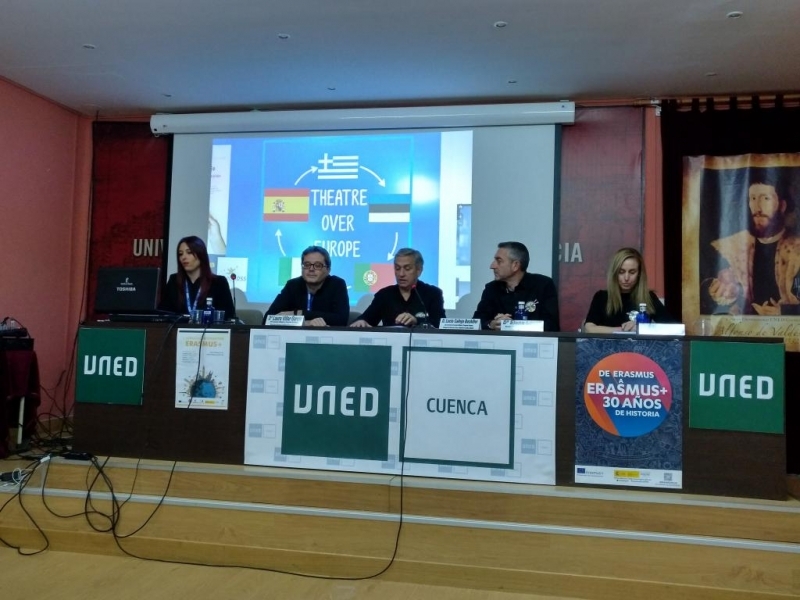 Una representación de los profesores responsables de su gestión fue la encargada de dar a conocer los aspectos más relevantes de este ambicioso proyecto europeo que se desarrollará en colaboración con colegios de otros cuatro países: Portugal, Italia, Estonia y Grecia. 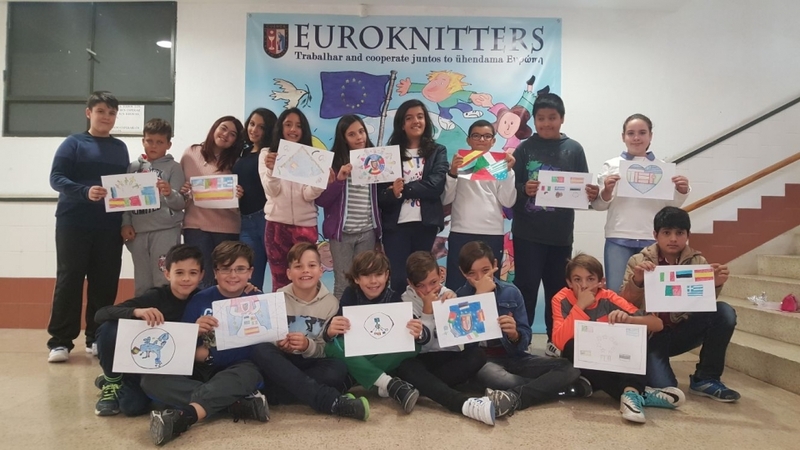 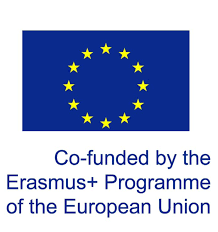 Con anterioridad, los profesores, ayudados por algunos alumnos de sexto que les acompañarán en las movilidades a Grecia y Estonia, ya habían presentado el proyecto Erasmus+ “Euroknitters: Towards Active Citizenship” al resto de sus compañeros. 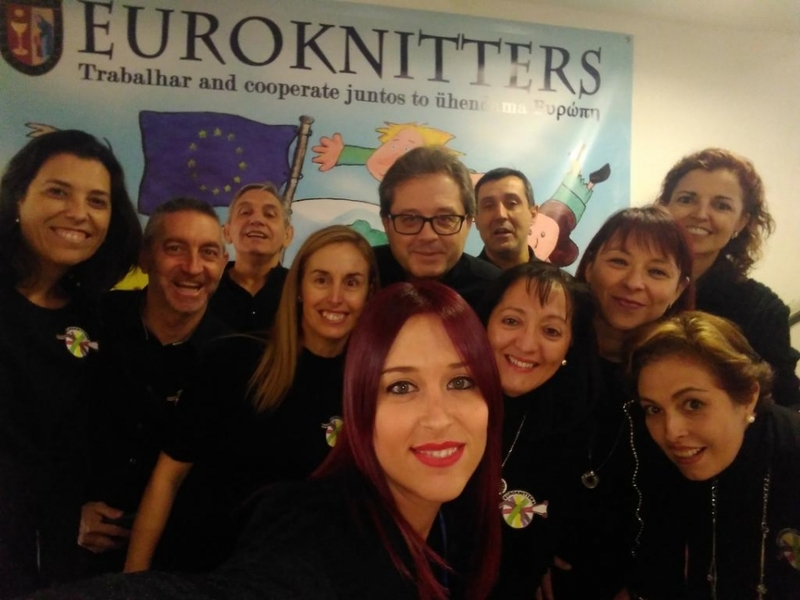 En primer lugar, los coordinadores del proyecto explicaron cómo se ha formado la palabra “EUROKNITTERS” y cual es su significado (Euro + knit + ers = tejedores de Europa). 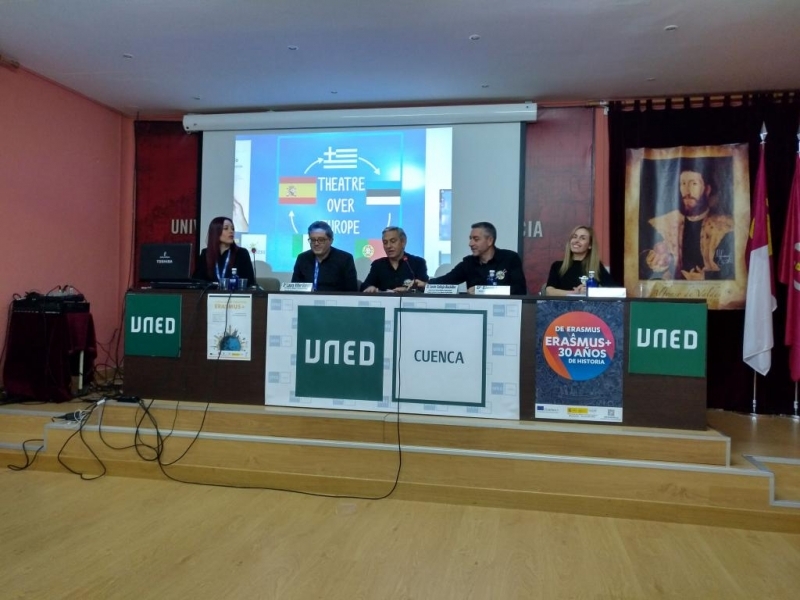 Posteriormente, presentaron de manera oficial el logo ganador seleccionado entre los realizados por todos y cada uno de los alumnos de los colegios participantes (realizado por un alumno de Estonia). 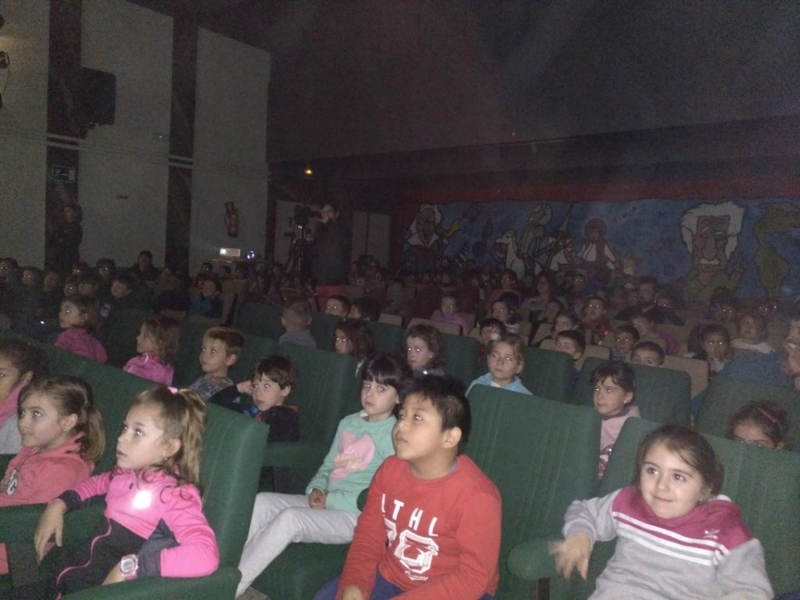 A continuación, se dio paso a la presentación del vídeo promocional del proyecto, en el que se dieron a conocer los coordinadores y representantes del mismo. 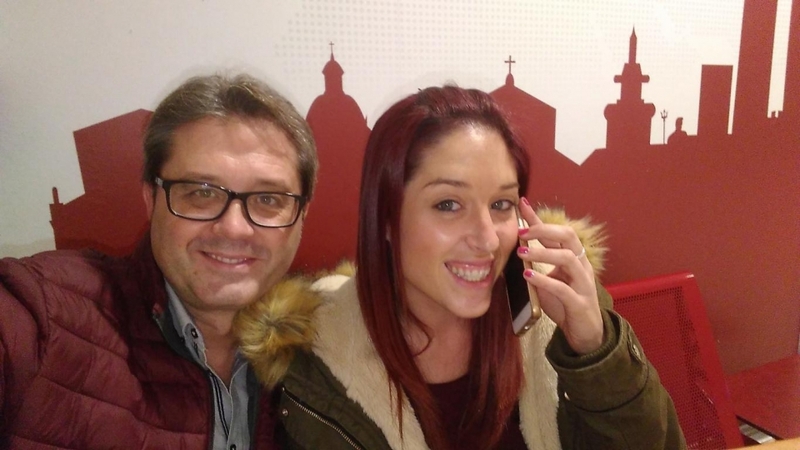 Seguidamente, otro de los maestros informó de la puesta en marcha de un canal de televisión en el que ya están trabajando jóvenes reporteros de sexto curso. 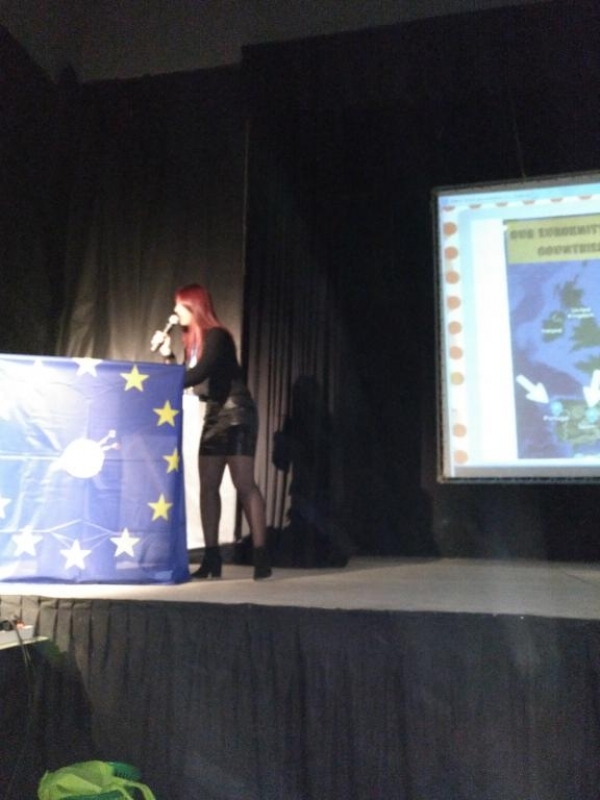 Continuamos escuchando a los propios alumnos que han decidido embarcarse en esta aventura, presentándonos los países colaboradores. 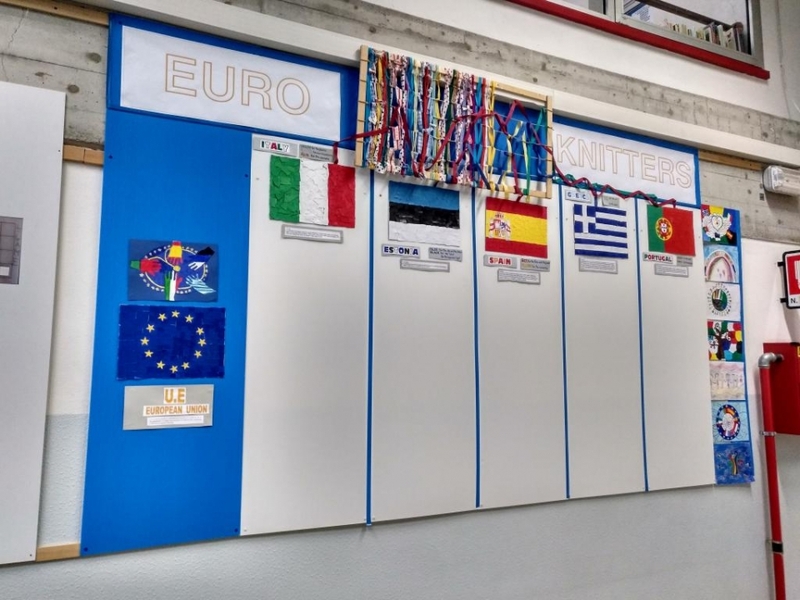 Bajo el lema “Trabalhar and cooperare juntos to ühendama Εὐρώπη” (“Trabajar y cooperar juntos para unir Europa”) el proyecto pretende afianzar la unión entre los países miembros de la Unión Europea, así como conocer otras culturas y otros idiomas. 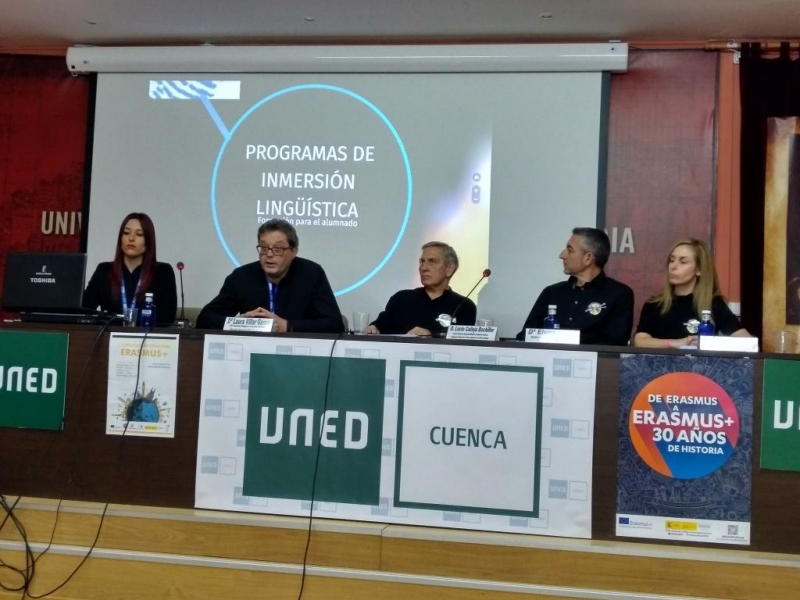 La lengua vehicular será el inglés. 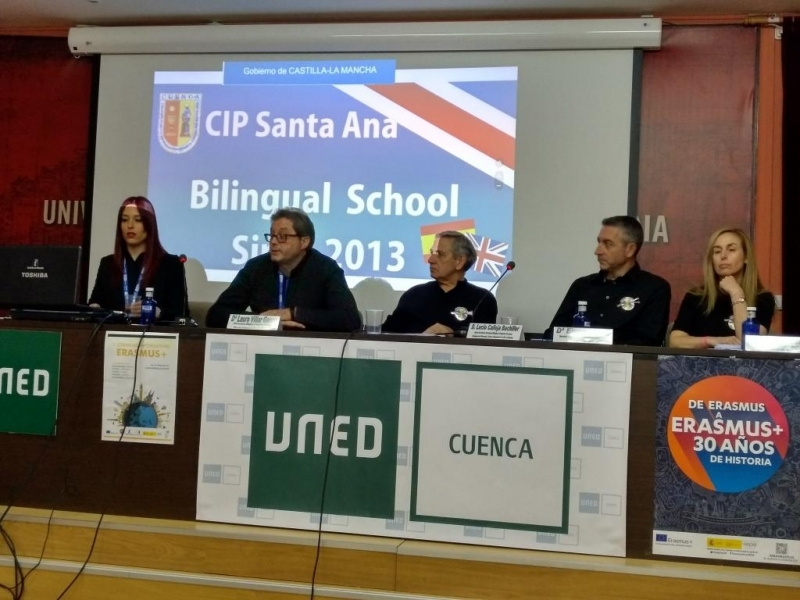 Este es un ejemplo más del proyecto educativo del colegio “Santa Ana”, el cual apuesta por potenciar el bilingüismo entre sus alumnos con actividades innovadoras y, por ello, más motivadoras hacia la lengua inglesa. 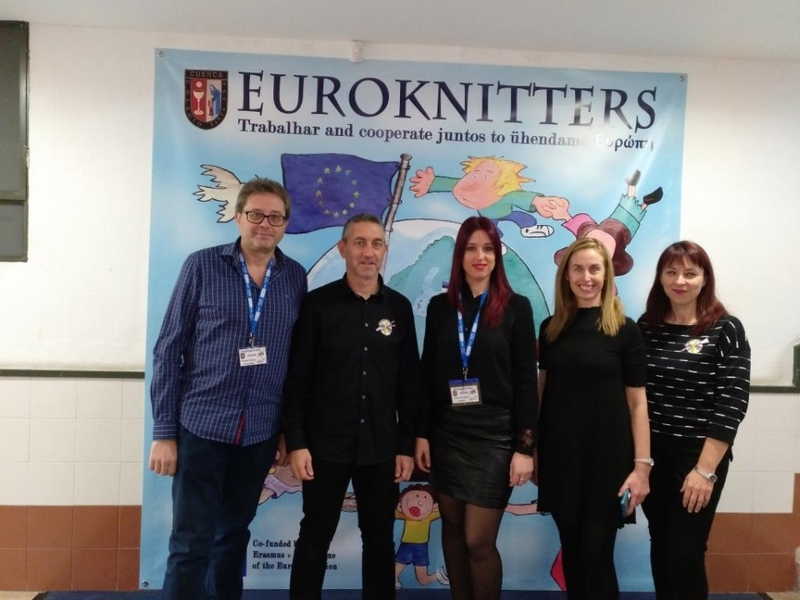 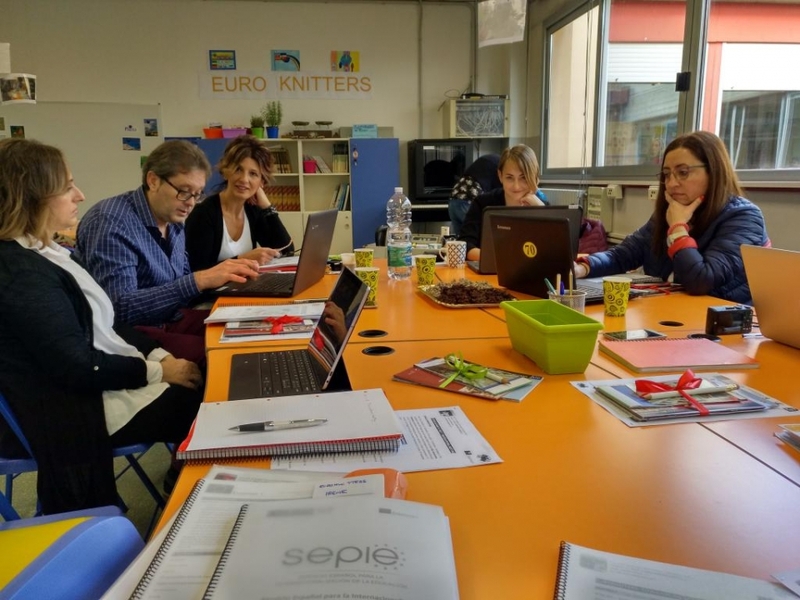 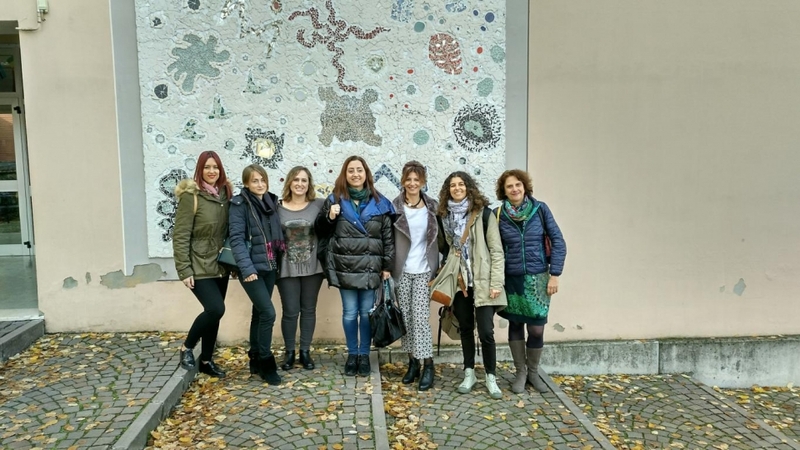 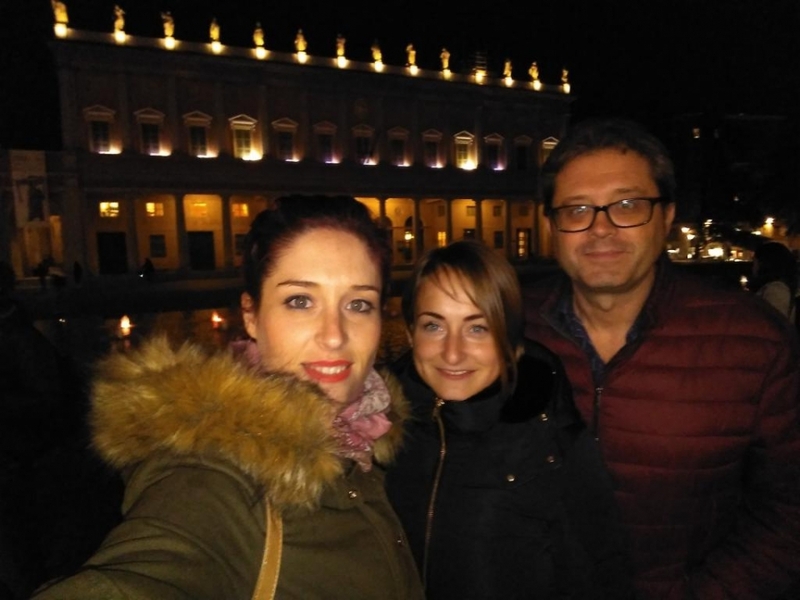 Two teachers from Santa Ana de Cuenca School had a meeting in Italy with other teachers from Italy, Portugal, Estonia and Greece, to carry out the first Transnational Meeting of the Euroknitters project funded by the European Commission through the Erasmus + program. 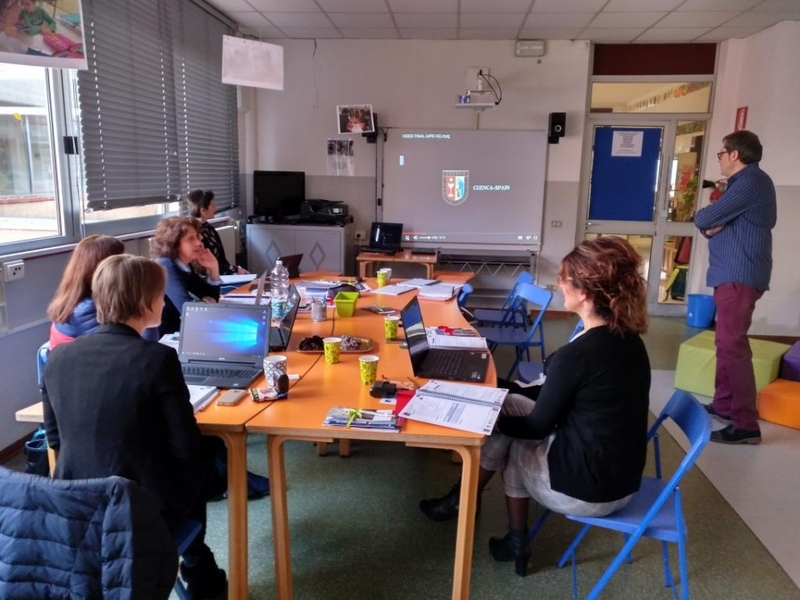 Coordinators from the 5 European schools located in Cuenca (Spain), Oporto (Portugal), Tallinn (Estonia), Athens (Greece) and Reggio Emilia (Italy), the city where this first coordination meeting is being held for the correct development and start-up of the project have inaugurated the project in Italy and the meeting was about its initial coordination. 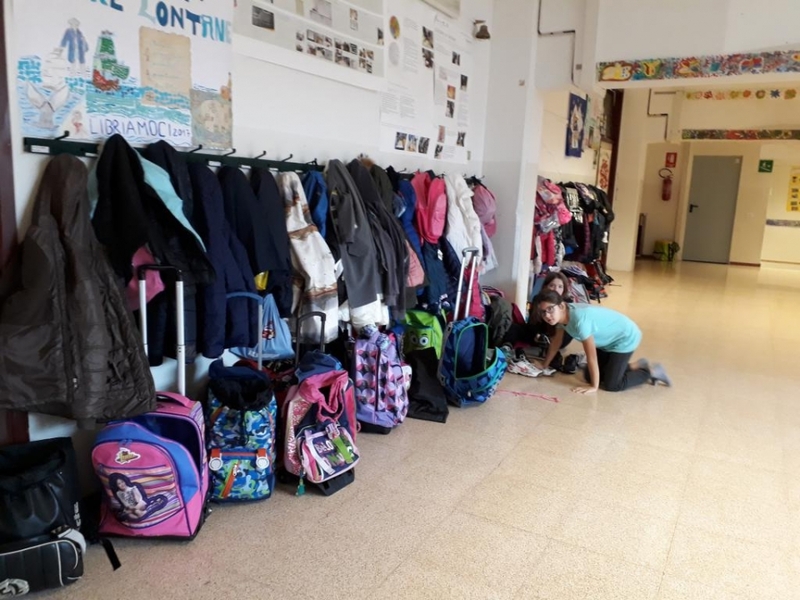 They have set dates, methodologies, materials, and other didactic, pedagogical and logistical aspects that are necessary for its proper development. 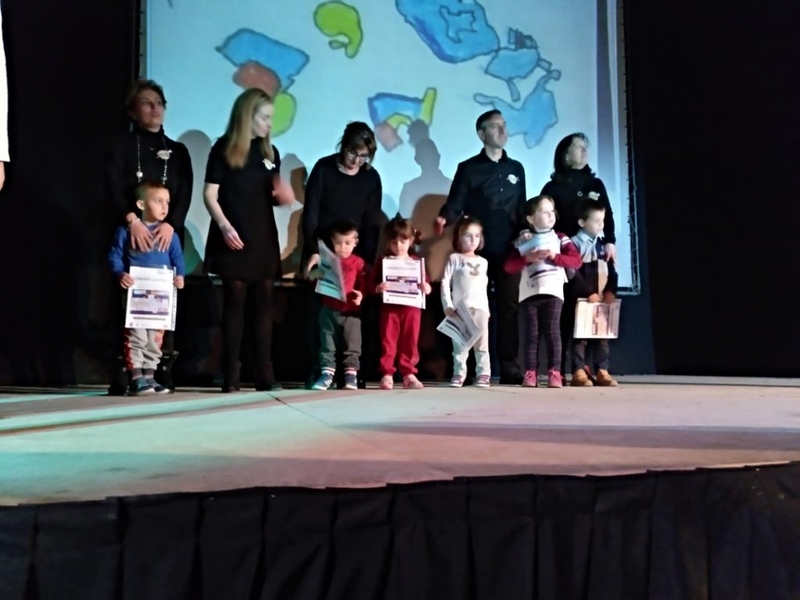 Plans and action protocols have been signed to ensure maximum use of the resources obtained and achieve the greatest impact in the different educational communities. 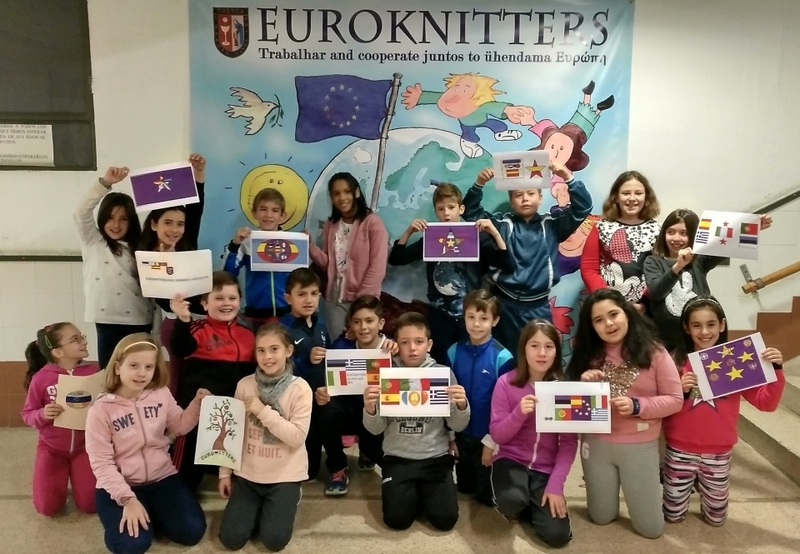 Trabalhar and cooperare juntos to ühendama Εὐρώπη. 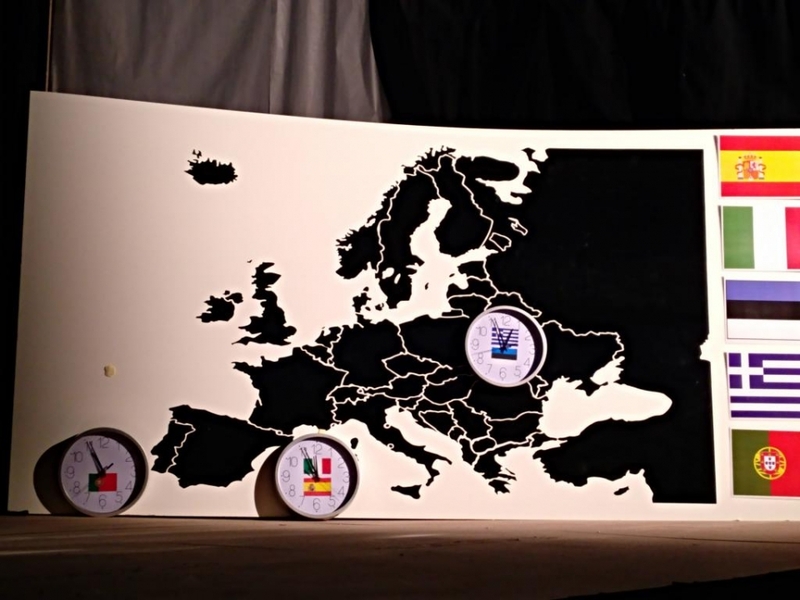 Work and cooperate together to unite Europe. 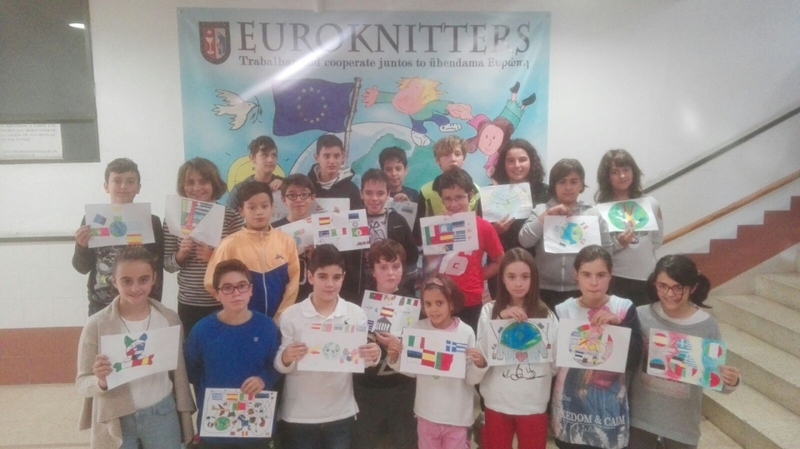 All our students have designed a logo for the project. 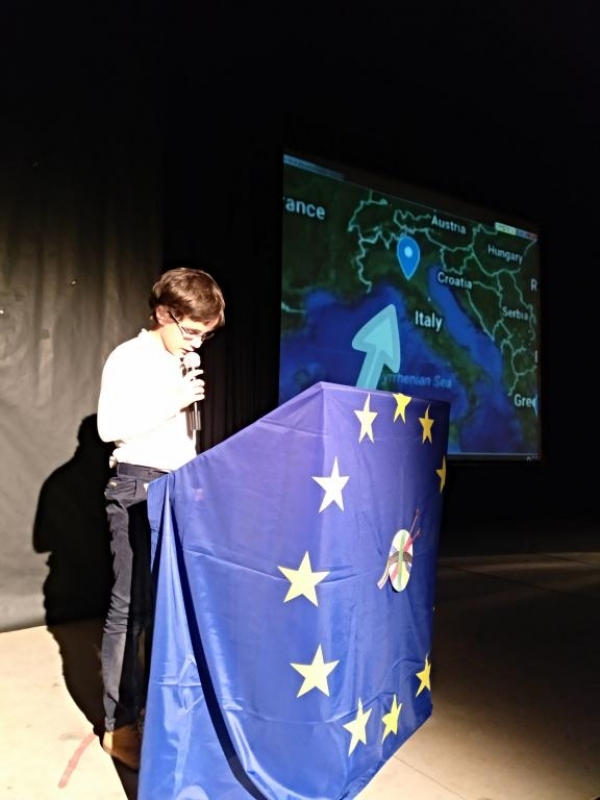 Teachers vote and choose 3 finalist that will travel to Italy. 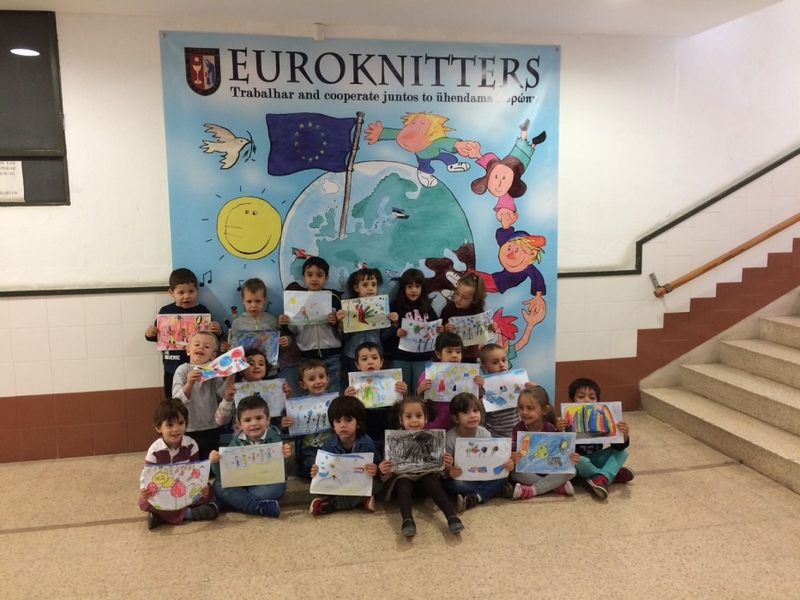 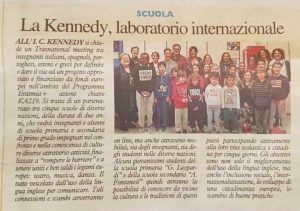 ¡NUESTROS EUROKNITTERS ATERRIZAN EN ITALIA!